We are glad to introduce the best ever JTAG box you can only dream of. New upgraded hardware and software (read the specifications below), thus – outstanding performance and unbelievable speed during mobile phone’s service procedures. 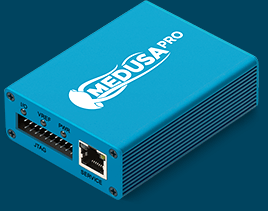 Medusa PRO will suit all your regular needs.